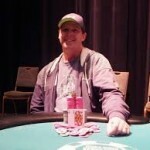 Mark Fink of South Dakota, United States has won the $365 No Limit Hold’em event at 2015/16 WSOP Circuit Choctaw Durant. Fin won his third career gold ring as well as collected a cash prize of $19,328 by doing this. This was the event#7 of the world series of poker circuit for season 2015/16 at Choctaw Durant. Till date Mark has made very good cash prize of $180,000 and has 38 career cashes to his belt. Total number of entries to these particular entries was 163 to which 27 top players or finishers got some amount of money but Mark Fink did great and topped the field size. Day 1 of the event concluded on January 11 and 29 players got survived for the second day of the gaming i.e for Day 2 of the event. Brian McDaniel was the runner up of the game and collected a cash prize of $11,944. 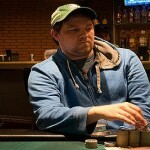 Cody Pack got the third position and took home $8,629 in the $365 No Limit Hold’em game played at WSOP Circuit. 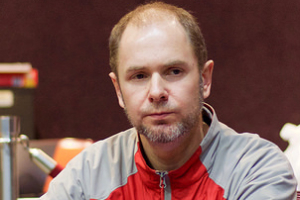 Jeb Hutton of US got fourth place and added an amount of $6,351 to his account, whereas the fifth position of the event belongs to a player named Paul Sokoloff who got $4,758 to his name. Arthur Morris, Wyatt Shuler and Chris Litton were booked for 6th, 7th and 8th positions and collected $3,625, $2,809 and $2,212 of cash prizes respectively. The ninth position is for Tommy Vedas who took down a cash prize of $1,769. This was an update about the world series of poker circuit took place at Choctaw Durant for an event named $365 No-Limit Hold’em.